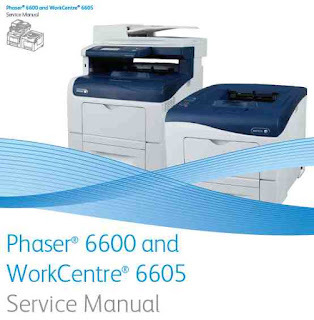 The Xerox Phaser 6600 WorkCentre 6605 Service Manual is the primary document used for repairing, maintaining, and troubleshooting the printer. Use this Xerox Phaser 6600 WorkCentre 6605 Service Manual as your primary resource for understanding the operational characteristics of the printer and all available options. This Xerox Phaser 6600 WorkCentre 6605 Service Manual describes specifications and the diagnosis and repair of problems occurring in the printer and attached options. Also included are detailed replacement procedures, parts lists, and wiring diagrams. This toner melts at a much lower temperature and reduces power consumption by as much as 20% as well as CO2 emissions by up to 35% compared to conventional toner. It contains no oil and offers glossy, glossy prints even on plain or recycled paper. Pantone calibrated unified color simulations and Xerox color correction technology deliver results that meet your expectations. The true Adobe PostScript 3 language ensures the consistent accuracy of your print jobs with the brightest, most accurate colors and quality graphics. The Xerox Phaser 6600 and WorkCentre 6605 offer a host of powerful features and options at a price that is within the reach of small workgroups. Automatic two-sided printing of DN configurations makes it easy to save paper and gives your documents a professional appearance. Indeed, multi-layer printing gives you the ability to print multiple pages on one sheet, which is particularly useful for printing presentations. Put the Xerox Phaser 6600 or WorkCentre 6605 wherever you like in your office with the Wi-Fi option. With high-capacity toner cartridges, you can extend periods of uninterrupted activity and reduce your total cost of ownership over the long term. About this Xerox Phaser 6600 WorkCentre 6605 Service Manual, Manual Organization, Symbols Marked on the Product, Power Safety Precautions, Electrostatic Discharge (ESD) Precautions, Service-Safety Summary, Regulatory, Introduction and Overview, Configurations, Parts of the Printer, Control Panel, Media Path, Major Functional Components, Consumables & Maintenance Items, Specifications. Servicing Instructions, Service Mode, Service Mode Diagnostic Tests, Error Messages, Error Code Tables, Phaser 6600 Error Code List, WorkCentre 6605 Error Code List, Error Code Fault Isolation Procedures. Initial Steps for Image Quality Troubleshooting, Image Quality Troubleshooting Chart, Image Quality FIP. SFP Control Panel Assembly, MFP Control Panel Assembly, Laser Unit Assembly, SFP Drive Assembly, MFP Drive Assembly, Drive Shaft Assembly, Toner Full Sensor, Left Rear Latch / Right Rear Latch, Upper Dispenser Motor Assembly, Dispenser Motor, Dispenser Assemblies Y, M, C, K, Toner Cartridges Y, M, C, K, Transfer Belt Assembly, Waste Cartridge Lock, Left Transfer Belt Guide Assembly, CTD Spring / CTD Sensor Assembly, Transfer Belt Right Latch Kit, Coupling Kit, Fuser Assembly, Transfer CRUM Connector Assembly, Imaging Units Y, M, C, K, Cleaner Assembly / Cleaner Assembly Base, Waste Cartridge, Tray Retard Holder Assembly, Feed Roller Assembly, Option Feeder, Bypass Tray, plex, Duplex Assembly, Transfer Roller, Registration / Feeder, Exit Assembly, Electrical Assembly, Covers Assembly, Scanner Assembly, Drive and Main harness Assembly. Serial Number Location and Range, Using the Parts List, Parts Navigation: Phaser 6600, Parts Navigation: WorkCentre 6605, Xerox Supplies and Accessories. Service Maintenance Procedure, cleaning, Moving the printer, Adjustments and Maintenance Procedures. Printer Plug/Jack Designations, Xerox Phaser 6600 System Wiring, WorkCentre 6605 System Wiring. 0 Response to "Xerox Phaser 6600 WorkCentre 6605 Service Manual"